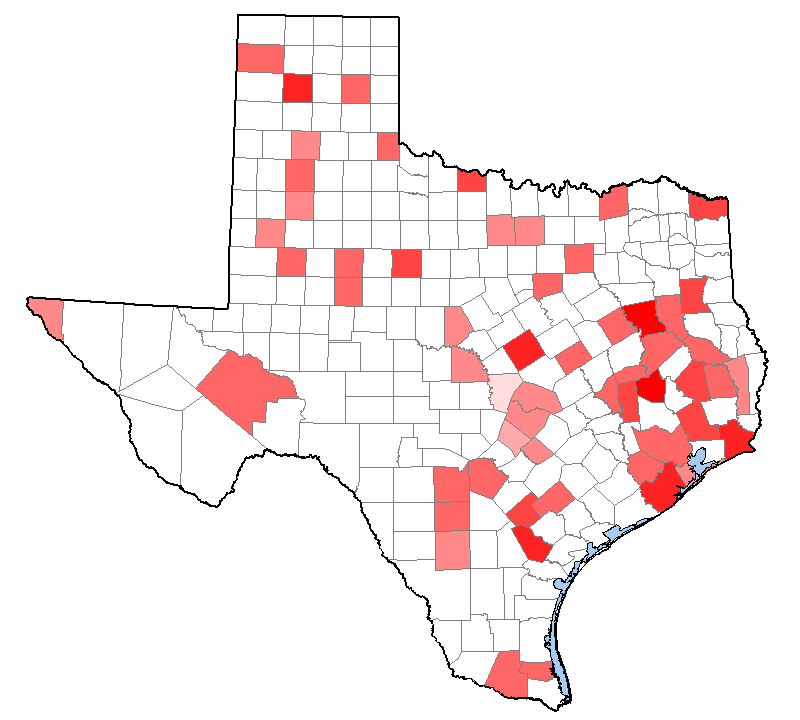 The state of Texas houses prisoners in 111 penal institutions located in 58 different counties. These institutions include 97 that are operated by the Texas Department of Criminal Justice (TDCJ) and 14 that are contracted to private companies. They include 59 prisons, 18 state jails, 13 transfer facilities, and 21 of other types, such as medical, psychiatric, and work program facilities. This page shows the number of prisoners housed in all types of the above facilities in each county as of February 2017. Note that this shows where the prisoners are being held, not where they are from or where their crimes were committed.